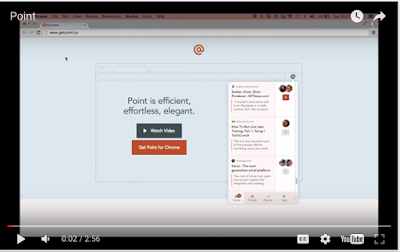 Point is an excellent Chrome extension to use to share links and collaboratively discuss web content with others. This is especially ideal for student researchers. 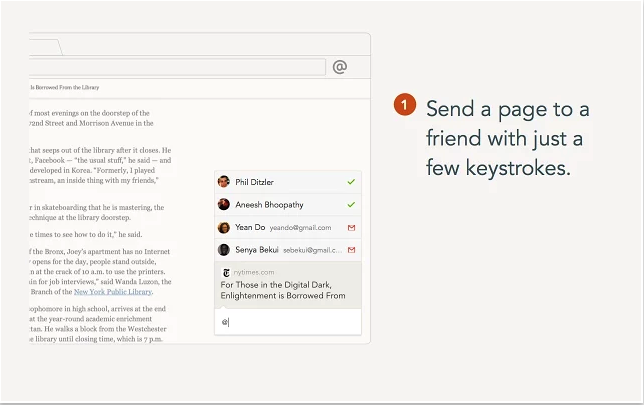 Point allows you to instantly share content with your collaborators and hold conversations and discussions right within the web page you shared. For instance, imagine you are working on a research project with a group of colleagues and you find an interesting online article related to your topic. With one click you can share it with your colleagues and when they get it you can all comment on the article while reading it. 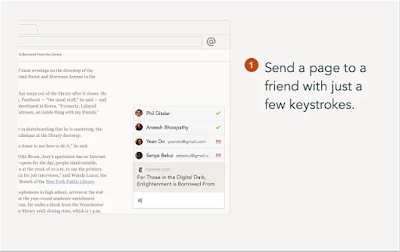 To talk about specific parts of the page, you simply highlight the portion of text you are interested in and it will be automatically pulled into the conversation for everyone to see.